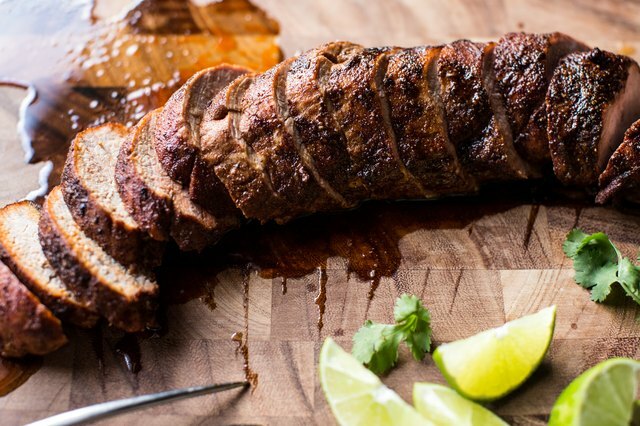 Pork tenderloin is a quick and easy meal to serve any night of the week; perfect for company or simply for your hungry family. 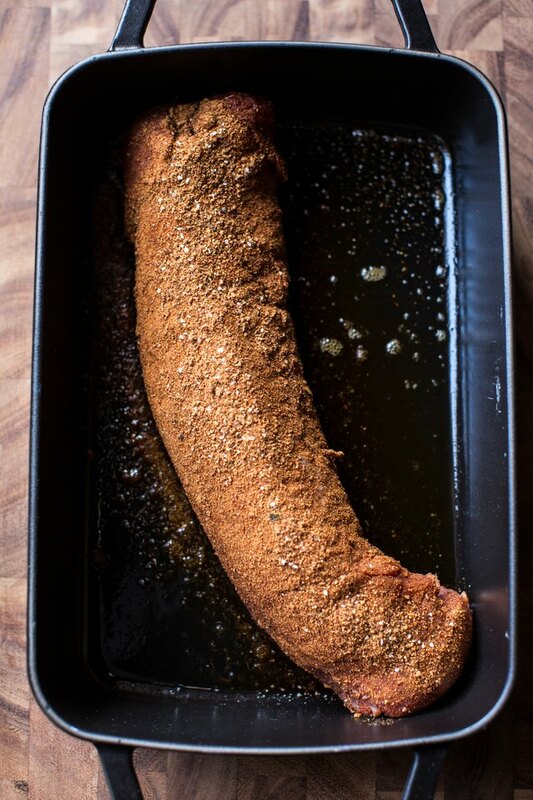 In this tutorial, I'll show you how to roast a pork tenderloin in the oven without letting it get dry. With this basic recipe, you can add your own seasonings and/or sauces to make the recipe all your own. Be creative and have fun with the ideas listed below. Preheat the oven to 425 degrees F. Place a cast iron baking dish or skillet in the oven and allow the oven to preheat for 15 to 20 minutes. Allow the pan to heat within the oven -- it will give the pork a nicely seared outside. While the oven is preheating, gather your ingredients. If you don't have a cast iron pan, you may use a glass or ceramic baking dish. That said, I highly recommend investing in a cast iron pan as they are incredibly useful in so many recipes! 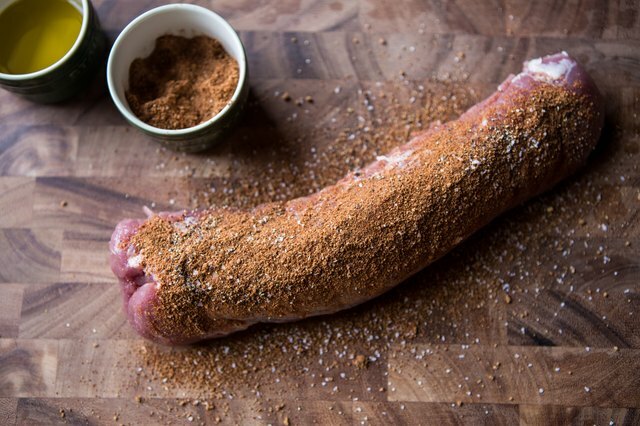 You can have a lot of fun with the way you season your pork. 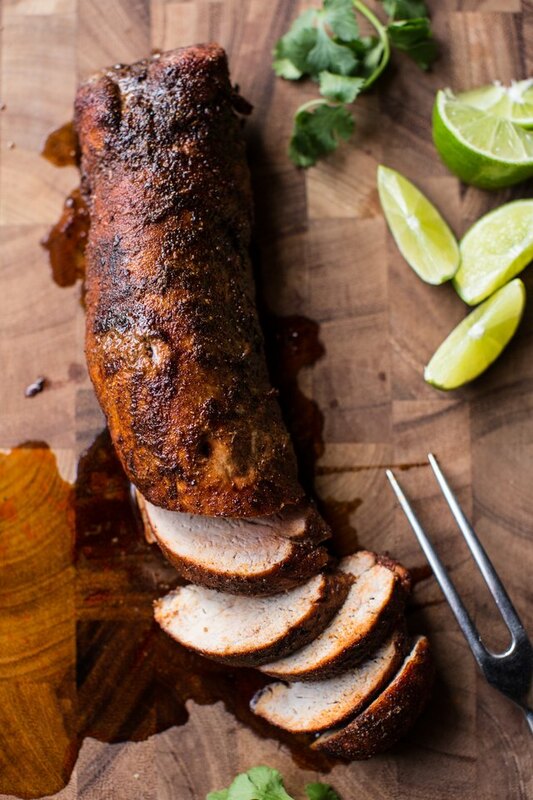 For the pork pictured here, I used a Caribbean spice rub. Other spice rubs I would recommend are Cajun, curry, Jamaican jerk, BBQ, chipotle, Asian or simply just chili powder, salt and pepper. You can really do anything here! Using oven mitts, remove your preheated pan from the oven and add 1 tablespoon of olive oil, swirling the olive oil to coat the pan. Now carefully add the pork. If you are using a cast iron pan, it should sizzle. Rub the remaining 1 tablespoon of olive oil over the pork and place the pork in the oven. 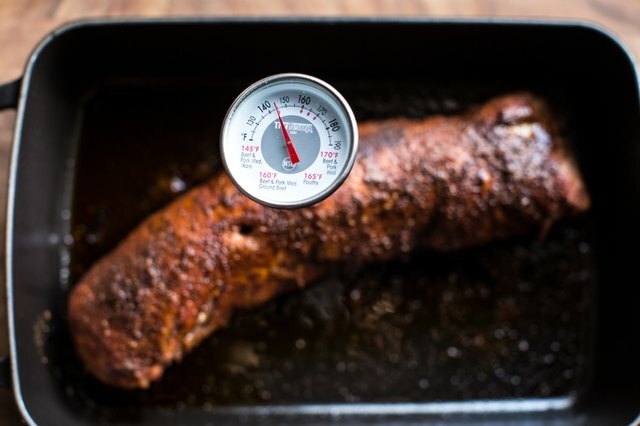 Roast for 15 minutes at 425 degrees F, and then reduce the oven temperature to 400 degrees F. Continue roasting for another 10 to 15 minutes or until a meat thermometer registers 145 degrees F.
Remove the pork from the oven and insert a meat thermometer into the middle of the tenderloin. 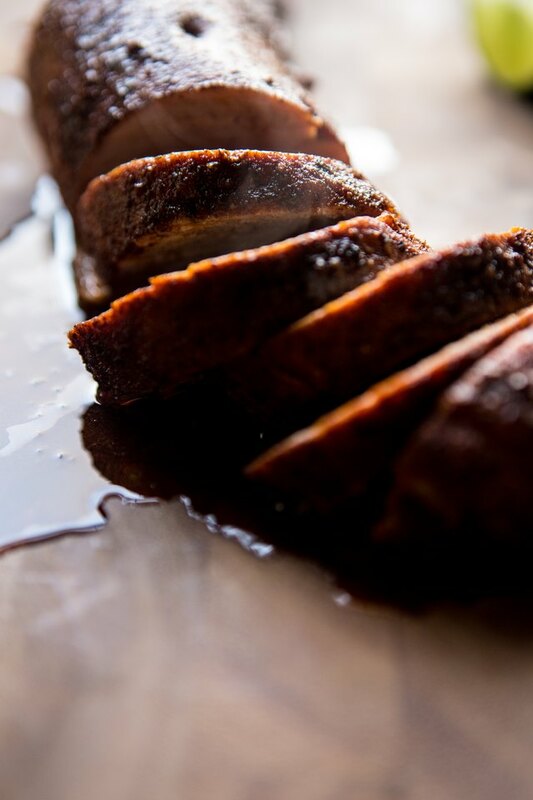 The thermometer should read 145 degrees F. If it's any lower then 140 degrees F, the pork needs to be cooked longer. 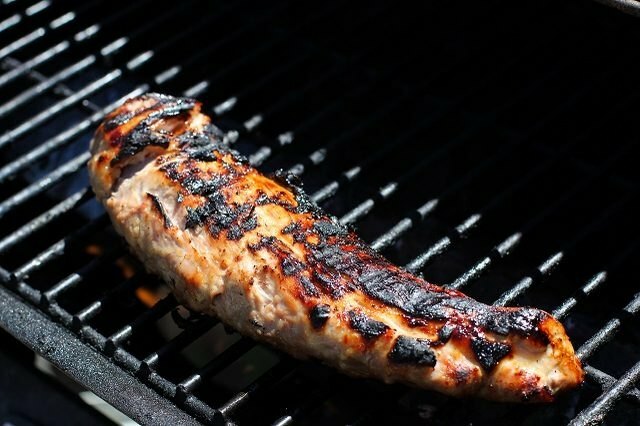 If you don't have a meat thermometer, you will know the pork is cooked when it is white and no longer pink in the center. Once the pork is cooked, allow it to rest for 5 to 10 minutes before slicing. This will help keep the juices in and the pork moist. Cut the pork into slices and serve with your favorite sides. 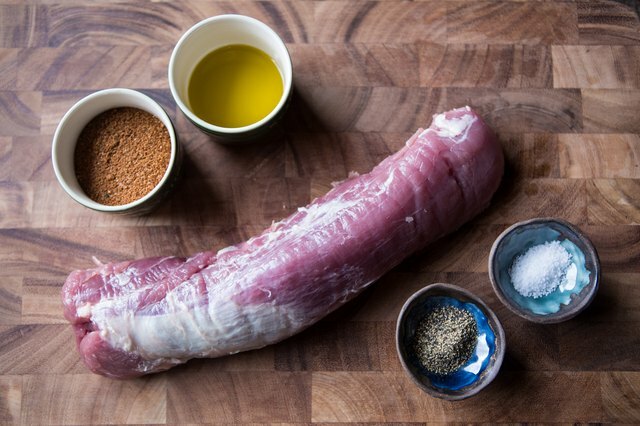 I love serving pork tenderloin with rice, quinoa, creamy polenta or risotto. Instantly get your own customized menu based on your pins with our new What's for Dinner, Pinner experience!